What is a Medical-Legal Partnership (MLP)? According to the National Center for Medical-Legal Partnership, MLPs unite the medical community and the legal community under a common mission to address and prevent health-harming social conditions for patients and for communities. An MLP embeds attorneys and paralegals in a health care settings to work with and alongside other members of the health care team. Together they screen for and treat health-harming legal needs – related to insurance, public benefits, housing, education, employment, legal status, and safety – to improve health and well-being, and reduce health care utilization. Make a Difference – Apply to be an AmeriCorps Member MLP Attorney! If you are interested in serving as an AmeriCorps member MLP attorney in Alaska, we accept ongoing applications. Positions that have immediate openings will be posted on ALSC’s job opportunities board, but applicants are encouraged to apply for any of the positions at any time. The AmeriCorps member will offer trainings for health providers and comprehensive legal assistance for low-income patients at the partnering hospital or health clinic serving primarily Alaska Native and Native American individuals. By focusing on cases that promote income growth, housing stability, and personal safety, the MLP uses legal advocacy as a tool to address social determinants of health. The AmeriCorps Member will provide direct legal assistance to low-income patients at the hospital or health clinic. Areas of legal advocacy include public benefits, housing, special education, domestic violence, elder law, family law, and consumer law. 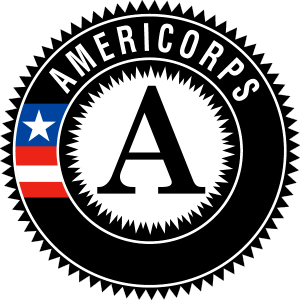 The AmeriCorps Member will be an attorney authorized to practice in state and/or tribal court, and before administrative agencies. The AmeriCorps Member will be responsible for providing periodic trainings and presentations to providers at medical facilities, as well as for regularly consulting with medical providers. Although AmeriCorps members will work independently at their local location, member the will be part of a national collaborative network of members to improve social determinants of health for American Indians and Alaskan Natives. All 14 members will attend the week-long MLP Boot Camp in Albuquerque, NM. The MLP Boot camp will train each member on vision of the project and arm each member with the tools to nurture each new attorney-hospital partnership. Each member will have a local litigation supervisor for day-to-day activities. Project support will be provided by the MLP Project Director, including monthly conference calls, and AmeriCorps updates. Interested candidates should email a cover letter, resume, and list of three professional references to Nikole Nelson at nnelson@alsc-law.org with the subject line: AmeriCorps Fellowship – [Your Last Name]. The letter of interest should clearly refer to the AmeriCorps MLP Fellowship position and identify which location you are interested in. Applications will be reviewed as they are submitted.